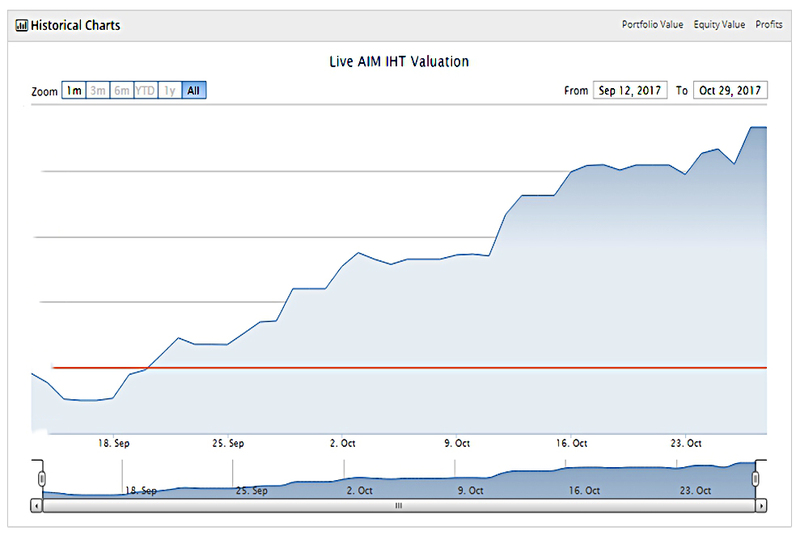 Today’s post is an update on the AIM IHT portfolio, which we finally implemented in September. Over the summer, I subscribed to Stockopedia, largely to have more data with which to support my claims that I’m choosing from the safer end of the AIM pool. No loss-making companies (PE missing in Stockopedia). In practice, that didn’t quite generate 50 stocks and I had to take a few with higher PEs. I’m going to use percentages with this portfolio, rather than real numbers of pounds. It’s early days, but the portfolio is up around 2.8% (though there is a catch to this – see below). As mentioned in recent posts on the SGAP, Google Finance is withdrawing its Portfolio feature for some unfathomable reason. So this is the first portfolio that I’ve analysed using the Stockopedia tools. Here’s the Stockopedia progress graph (I’ve removed the numbers on the vertical axis). It’s quite similar to the Google Portfolios charts, with one omission. I can’t find a way to overlay an index (or a stock) onto a chart. I’m hoping that this is just me being stupid, and someone will explain how to do this in the comments. But if not, it’s a pretty basic error in software that has been around for several years. Stockopedia provides some free analytics on your portfolio, so let’s work through them. 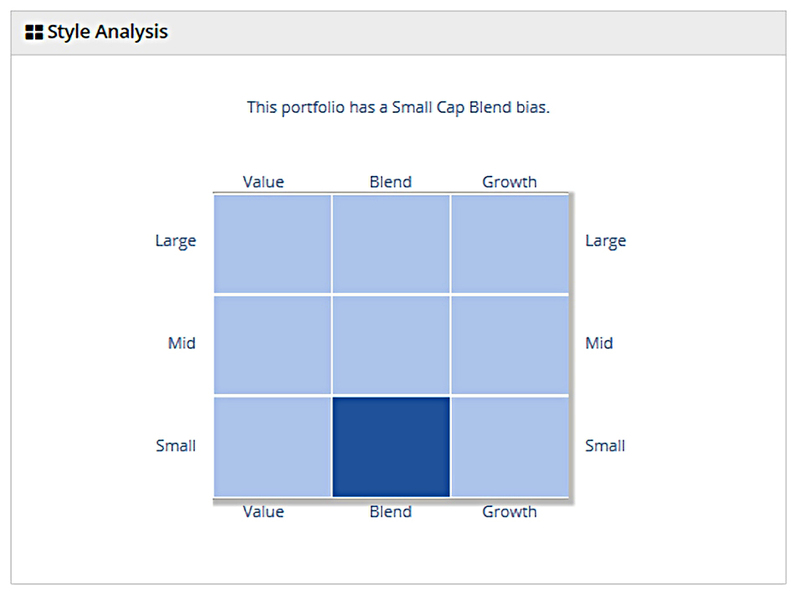 Here’s the style analysis, which as I hoped shows that we have a Small Cap Blend portfolio. 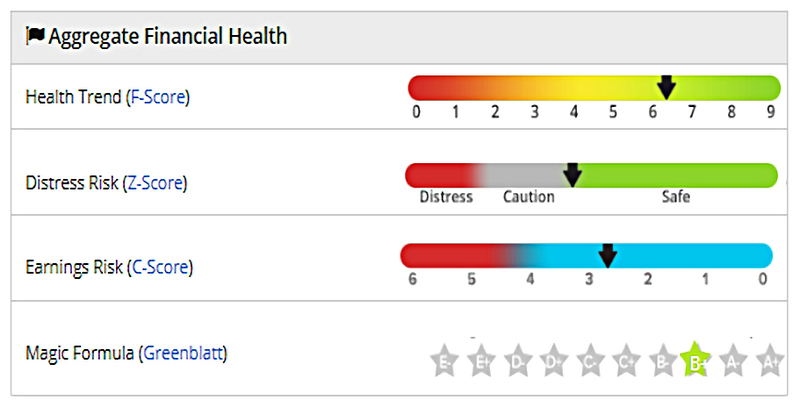 Here’s the health analysis, which I think is fine for an AIM portfolio. The real value of this chart will be looking at how it moves over the life of the portfolio. Our PE is 14.7, which is close to the market. EPS growth is 11%, compared to 13% for the market. The PEG is 2.1, which is expensive. I put this down to a “safety premium” on AIM, particularly on those stocks that are suitable for IHT portfolios. Dividend yield is 3.1%, which is good for AIM. Dividend cover is 2.6, which is also good. This is the sector analysis. Consumer cyclicals is our biggest sector, which is something of a concern given our position in the economic cycle. 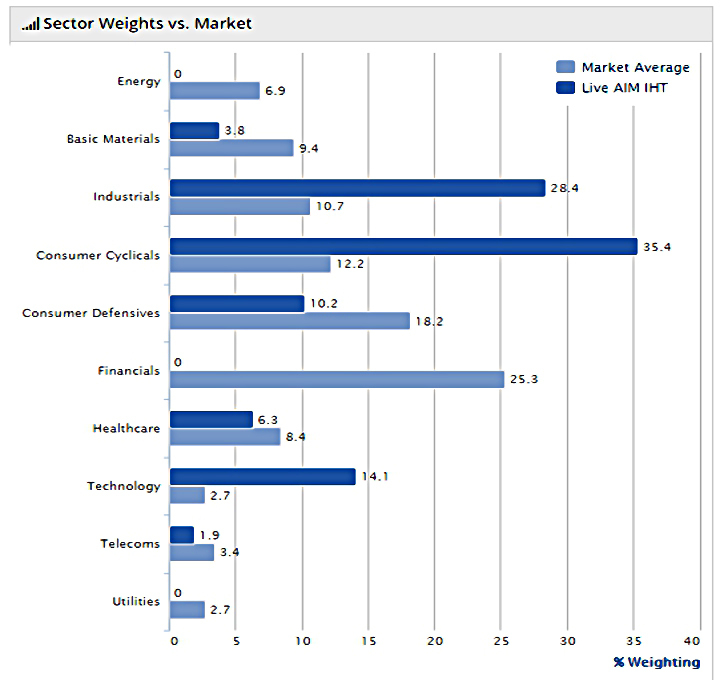 This chart shows the sector weights relative to the market, and puts the previous chart into some perspective. 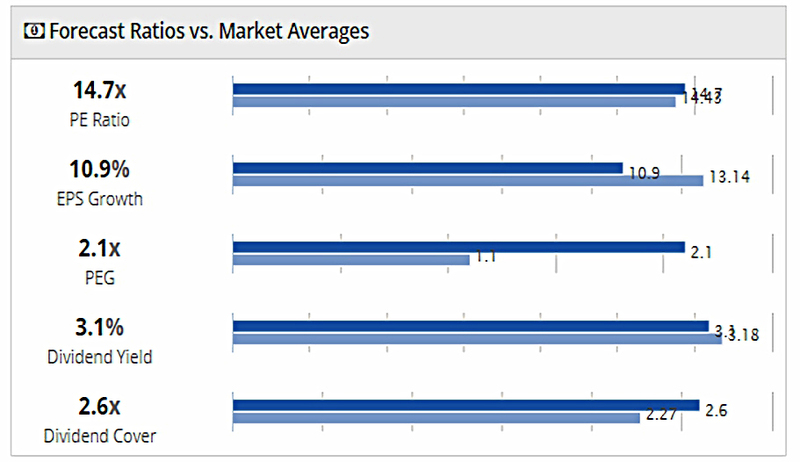 We are not using the financials and energy sectors, which account for 32% of the market. So our adjusted weighting for consumer cyclicals should be closer to 19% rather than 12%. We’re still 16% overweight, mind. 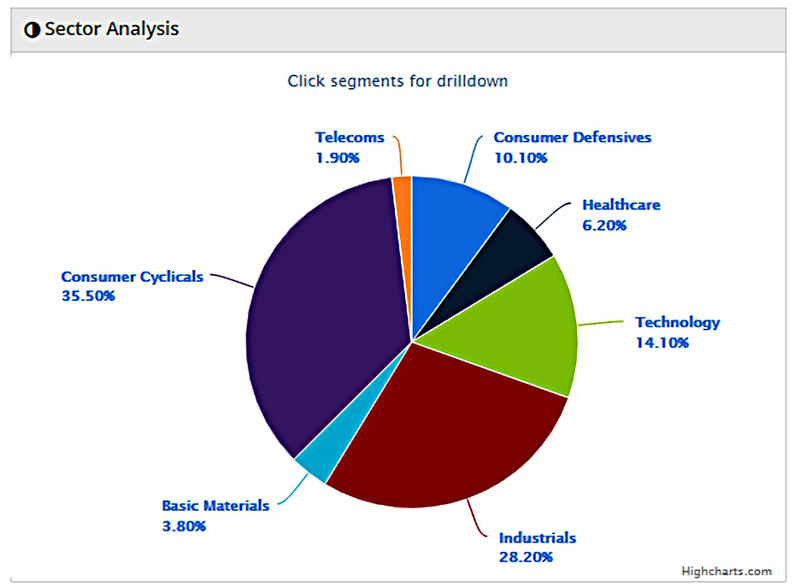 It would be useful to exclude sectors from this analysis, but Stockopedia doesn’t allow this. 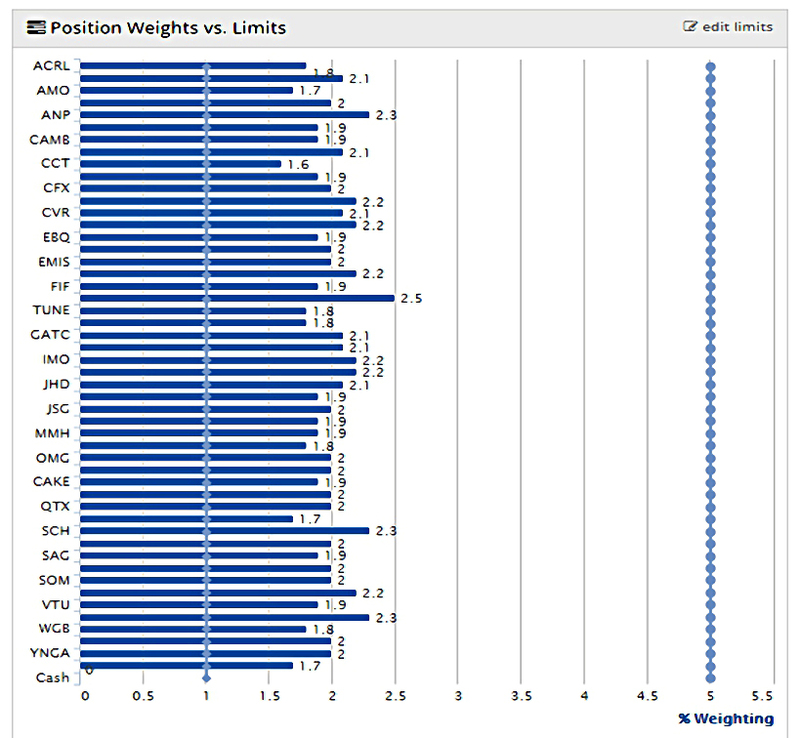 The last chart shows the position sizes of the stocks, within a lower and an upper limit. The format can’t cope with 50 stocks, so the names of half of the holdings are missing. We have 50 stocks, so the default weighting is 2%. I’ve set the limits at 1% and 5%. Stockopedia should notify me automatically when these limits are breached. I hope that this won’t generate too many signals each month. Here are all the stocks in the portfolio that have dropped by more than 5%. I’ve greyed out the numbers that show the size of the portfolio’s holdings. There are none that are currently down by 20%. 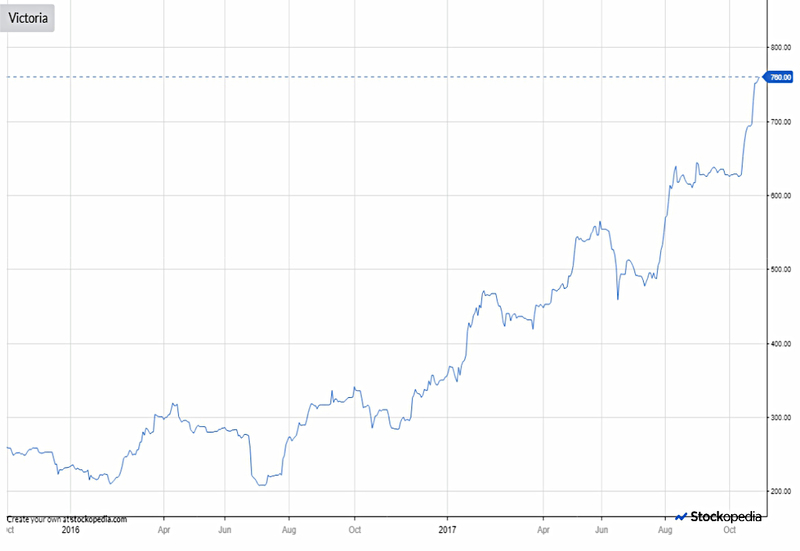 CCT did fall by more than 20% when it announced that profits would be hit by the Toys r Us bankruptcy in the US, but it has started to recover. I’ll only be checking the prices once a month, so CCT escapes for now. The other stock to note is ACRL, which is currently suspended. It’s likely to return (if it does) at a price that is more than 20% down, so it will probably be thrown out next month. It’s also the reason why the headline 2.8% gain for this month should be taken with a pinch of salt. ACRL is 1.8% of the portfolio, and if it delists the gains would drop to 1.0%. 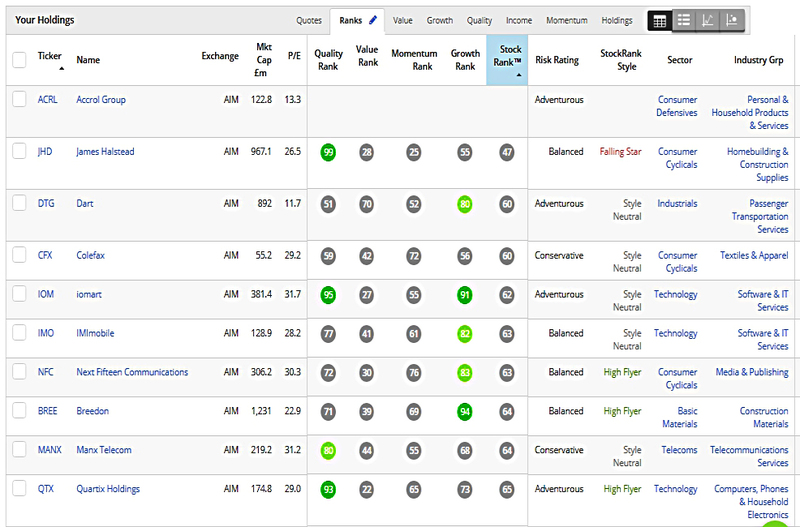 Here are the ten stocks from the portfolio with the lowest Stockranks. Only James Halstead (JHD) scores less then 50, at 47. JHD is also classed as a Falling Star – the only negative Style Rank in the portfolio. None of these stocks have sub-ranks below 20. 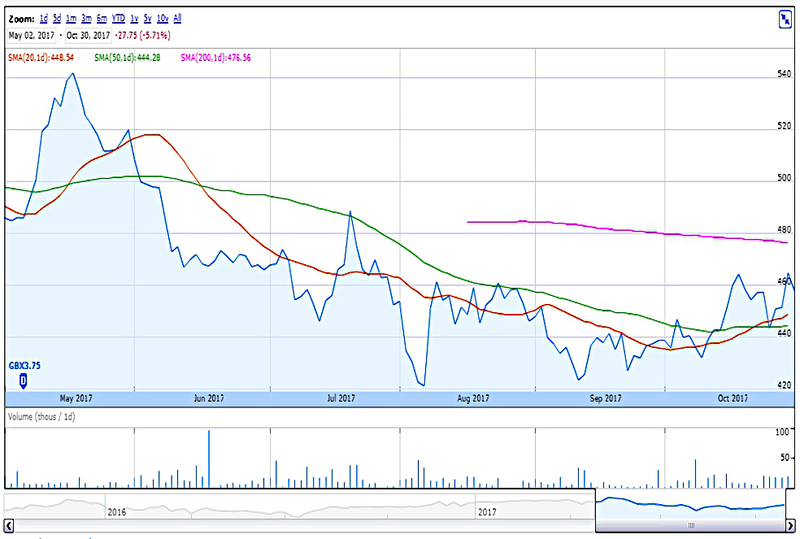 I think that the price might have bottomed out in September, and is now starting to recover. So I will stick with it for another month. Further up the table, CCT (which we’ve already discussed) scores 13 for momentum. That is a very good looking chart, so we’ll stick with VCP for now. We have no spaces for new stocks. So there’s no need to re-run our concatenation and filtering of the nine screens and tables that contribute to our master list of “safe” AIM stocks. We did find five suitable candidates ( KETL, NWF, EMR, ADT and YOU) during our recent update on the SmallCap Growth AIM Portfolio (SGAP). For now, these will be considered for the SGAP. We can always move them over to the IHT portfolio if we need to. I received some submissions from readers of their own IHT portfolios, and of handouts from professional portfolios. Note that REDD is in the financials sector, so unlikely to make it into our own IHT portfolio. The Gold List now has around 90 stocks on it, and will soon run into the 100-stock limit on Stockopedia portfolios. Enjoying yr follow ups on AIM IHT portfolio. I like the business and the long term viability of the share but have always held back on buying them because they have so many properties,which I think are all owned? I would welcome your views on this as it has put me off of investing in other companies such as Watkinn Jones. I share your concerns about property in general, though I would argue that Youngs are trading from premises rather than trading in premises. The crucial point for me is that they appear on my “Gold List” of stocks which have appeared in AIM IHT portfolios operated by the professionals. So if the pros think they qualify for BPR, then that’s good enough for me. 2…Can I, for instance, reinvest the whole £3000 in 3 different IHT shares at say £1000 each? Feel some skullduggery and misrepresentation by the management–hope financial authorities investigate this! My understanding is that you can move proceeds into any number of new qualifying assets. You can even leave it in cash for quite a while, too. Note that this is all theory from me at this stage, so DYOR. Re: Accrol – c’est la vie. Three of the fifty stocks in the portfolio have now blown up in the first 10 weeks. At that rate, 30 will have hit trouble by the time we reach the end of the qualifying period! Sorry that you have 3 blown up so far—It can only get better from here. On the matter of the Gold list, I had intended to invest in both First Derivatives and Loknstore but when I checked them on the Investors Champion facility it declared that First Derivative was not qualified and that Locknstore was only part qualified. If you have confidence in other sources of information relating to these companies it would be helpful to know. My only source is the Investors champion and publications from IHT professionals. It is a rather critical area of decision making when looking to limit IHT liabilities. I don’t wish to invest significant amounts of money in the riskier end of the market without strong confidence in the tax advantage. First Derivatives comes from Octopus and Lok’n’Store from Midas. As always, you need to DYOR and make a personal decision. I don’t have either of those stocks in my IHT portfolio at the moment.